George Clooney knew what he was doing when he purchased a villa on Lake Como. As a vacation destination for the elite since Roman times, Lake Como and the villages around it are nothing short of magnificent. Fortunately, you don’t need Clooney’s celebrity status or income to pay a visit to the wonderful Lake Como. I hope you’ll be happy to know that it’s perfectly possible to visit the area on a budget. Travelling on a budget for me often means sleeping in hostels. Fortunately, you can find a few of them around Lake Como. Menaggio, Domaso, and Como are home to most of the affordable hostels. Menaggio has the lake’s only youth hostel. When I visited Lake Como, I stayed at the Lake Como Hostel in Menaggio, and I highly recommend it to others! Well, when you search for images of Lake Como, photos of colourful, closely-built homes on the water’s edge surrounded by mountains will fill up your screen. 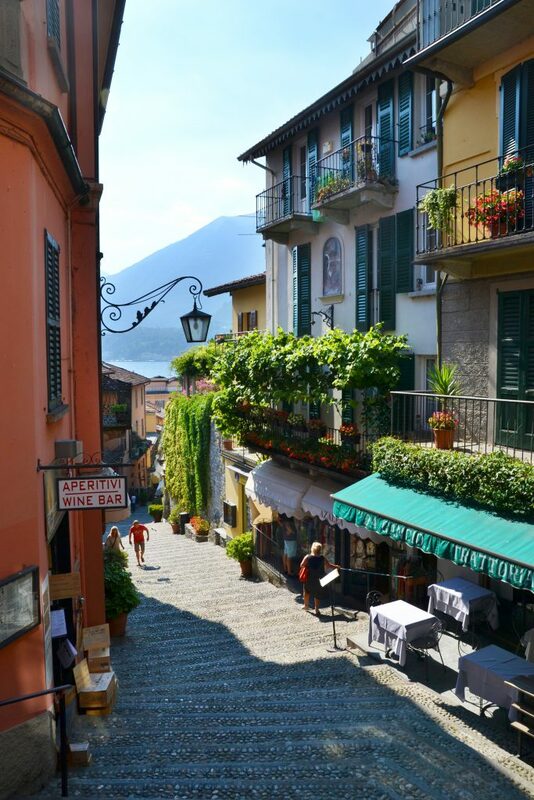 The quaint picturesque towns usually featured in these photos are Varenna, Bellagio and…(you guessed it!) Menaggio. All three are also only a short ferry ride apart. 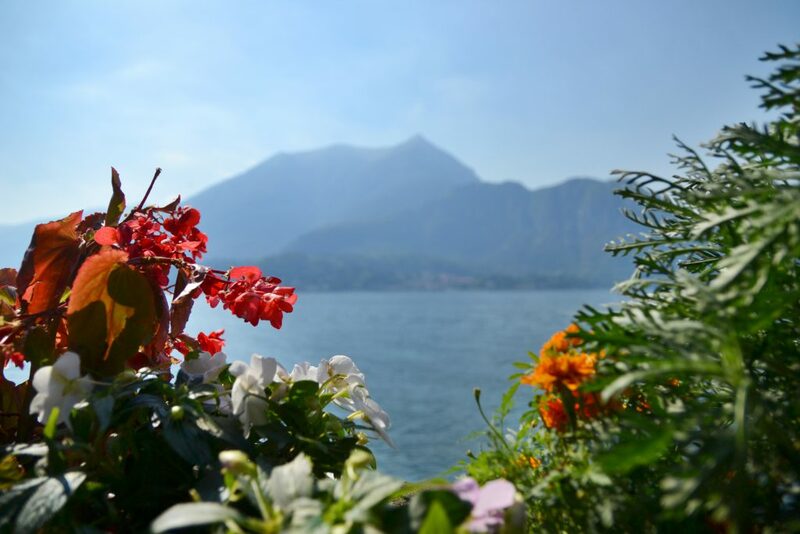 By staying at Menaggio’s Lake Como Hostel, you will already be in and remain in close proximity to some of the Lake’s most beautiful destinations. As an added bonus, the hostel offers fantastic dinners and drinks at great prices, and if sleeping in a 6-bed dorm isn’t your cup of tea, you can always book one of their apartments (which are still very affordable…unlike a room at the Grand Hotel Tremezzo which costs a minimum of 650 Euros per night). On top of all of these sweet deals, you can also rent kayaks and bikes from the hostel or sign up for a cooking class! Have you ever stayed at a hostel with a view like this? Check out Menaggio’s Lake Como hostel on booking.com by clicking here. P.S. If any of you lovely readers choose to stay at the Lake Como hostel, I’d be eternally grateful if you could claim my hot pink bathing suit and travel towel for me! I forgot them there during my stay (…kidding. I bet they’re long gone). You don’t have to splurge on renting a private motorboat or water taxi to cruise across the lake. Ferries run everyday which enable even us (budget travellers) to feel a little more glamorous by experiencing the region on water. Gestione Navigazione Laghi’s website will provide you with all the ferry schedules and fare information you need. You shouldn’t be charged more than 15 Euros for a south-to-north journey across the lake. Click here to check out their site. 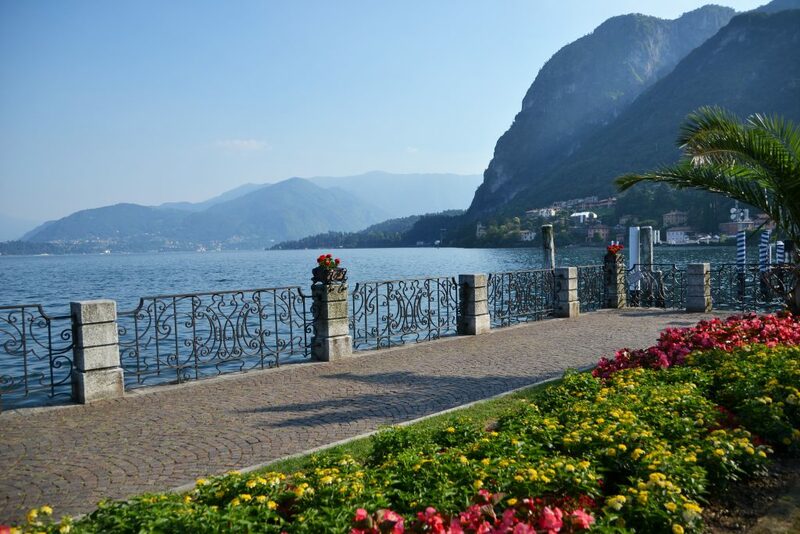 Since the city of Como has a direct train connection to Milan and a handful of nearby Swiss towns, many visitors choose to begin their Lake Como experience in Como. If you plan on starting your adventure there too, I suggest arriving at the ferry ticket counter at least 30-45 minutes before the ferry’s scheduled departure. Be aware that certain towns across the lake, such as Menaggio, have a fast and slow ferry service. The fast ferry is more expensive and does not have an outdoor deck for its passengers. It is slightly pricier to take the ferry than the bus (which you can read about below), but taking the ferry will give you the chance to experience panoramic and unobstructed views of the lake and its idyllic villages. It’s useful to know that several public buses run around the lake, and travelling with them is usually cheaper than taking the ferry (I paid around 6 Euros for a ticket from Menaggio to Lugano – I’m talking about crossing borders here). Buses usually stop in both larger and smaller towns. 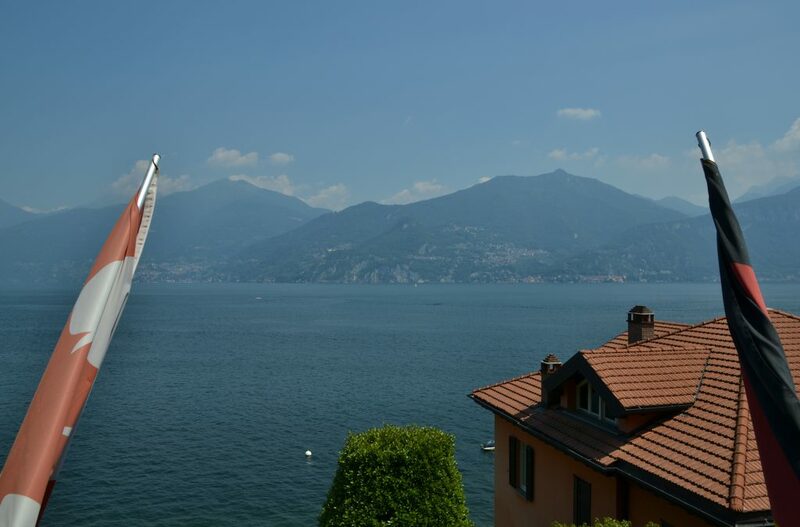 Several bus companies drive around the lake, and Lake Como’s official website can provide you with up-to-date information about routes, timetables, and fares. Click here to check the bus system out. If you end up staying in one of the lake’s charming little towns, do not…and I REPEAT: DO NOT book train tickets to Como that make you arrive in the city too late in the evening or require you to leave too early in the morning. 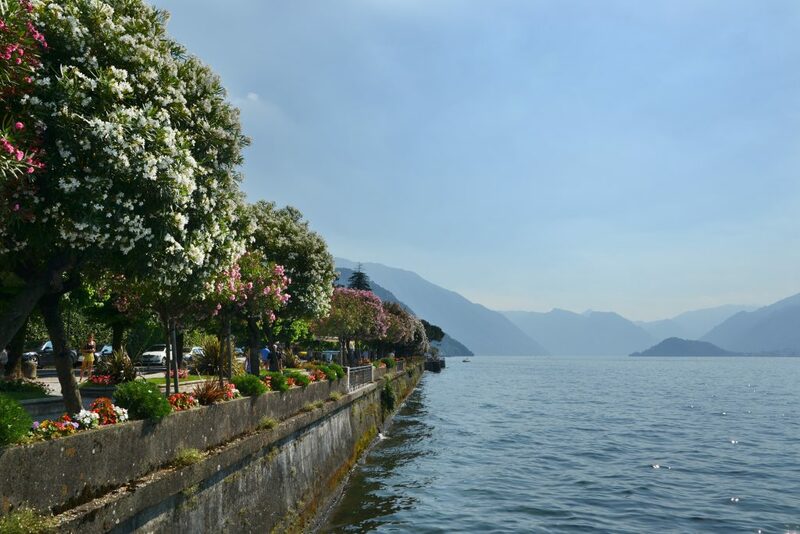 The journey to and from towns such as Menaggio and Bellagio takes time (over an hour), and unfortunately, buses and ferries generally operate during daytime hours (only some buses may run during late evening hours). The last thing you want to end up doing is splurging over 100 Euros on a 6 a.m. or 12:00 am cab ride. In my opinion, a trip to Lake Como is not complete without a visit to the three magical towns located in the heart of the region: Bellagio, Menaggio, and Varenna. You’re guaranteed to by mesmerized by the colour, architecture, landscape and luxury. When I imagine Lake Como, it’s the winding streets and glamorous views from these three towns that come into mind. The best part is that hours can be spent walking through these towns and walking of course, is absolutely FREE. Nevertheless, spending 2 Euros on granita (…or gelato) from a small cafe is not excessive, and the ferry fares to travel between these three towns are fairly affordable (I paid under 10 Euros for a roundtrip from Menaggio to Bellagio). If you’re visiting during the summer, a dip in the lake may be necessary and it can be accomplished in any of the bathing areas found along the lake (most towns have one or two). If you end up staying at Menaggio’s Lake Como hostel, you will receive a voucher for the Lido di Menaggio Beach Club. For a discounted price, you will get access to the pool, beach area, and sun beds where you can unwind and lounge around to your heart’s content. Lake Como is meant to be a destination for relaxation. 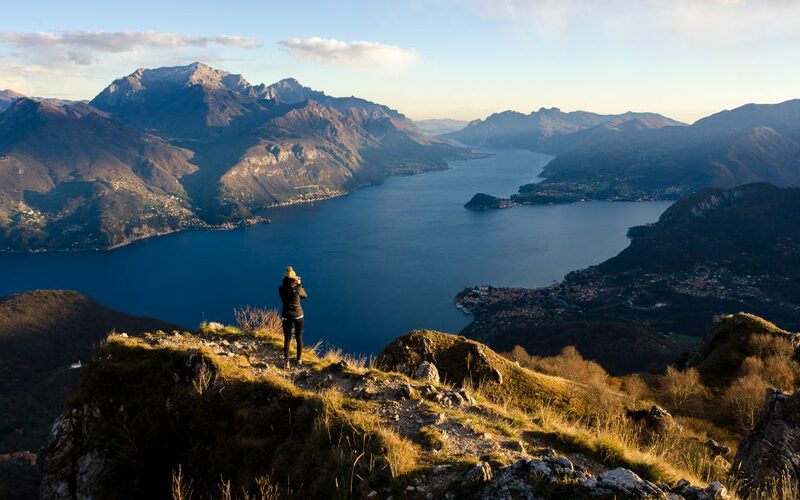 If you’re an adventurer at heart, many hiking trails exist around the lake such as the one up to the Rifugio Menaggio or the church of St. Amate. (I would have loved to have done these hikes, but not in 35+ summer weather). This means that I’ll definitely have to go back for a second visit! The spectacular view from Rifugio Menaggio. Photo credit: Luca Casartelli DSC_2004.jpg via photopin (license) Please note that the hike up to Rifugio Menaggio starts in Breglia which is a short bus ride north of Menaggio. 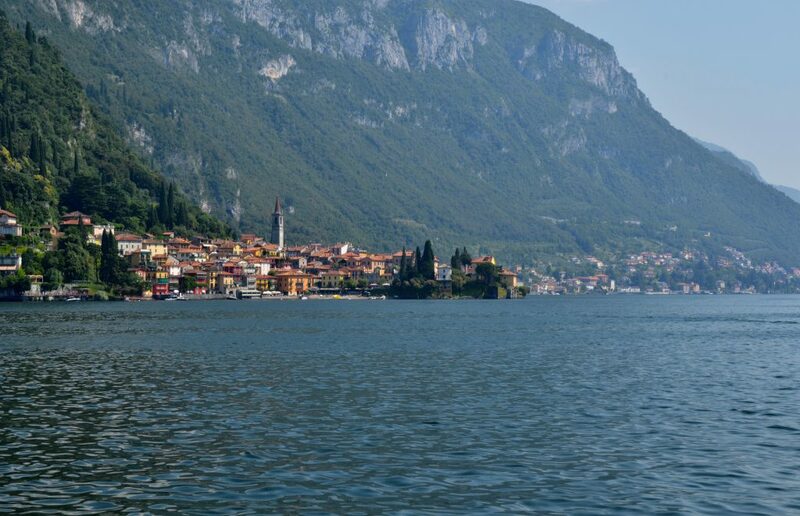 All in all, Lake Como is undeniably one spectacular place. Fortunately, a trip to the area doesn’t require a spectacular budget. 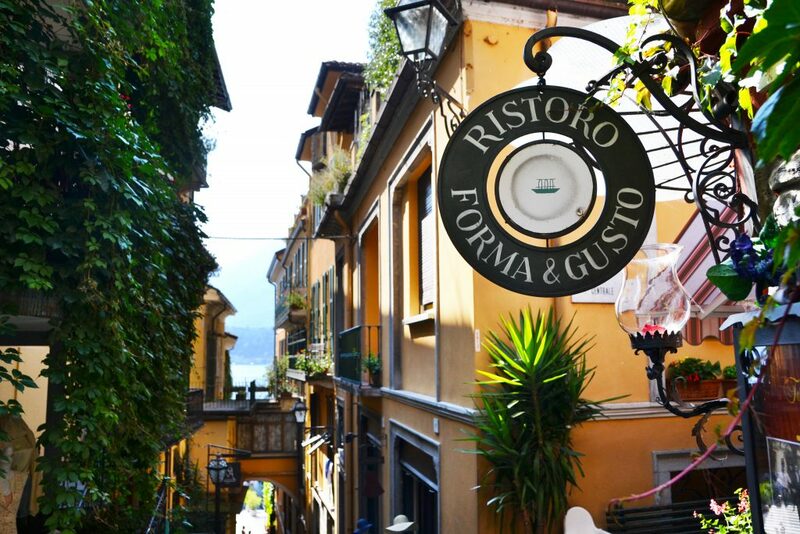 By following the tips in this post, you can experience the magic of Lake Como for less. Feel free to pin and save the summary below! Found this budget guide useful and want to learn how you can visit other European destinations for less? Do you have any tips for visiting Lake Como on a budget? Feel free to share them below! to seeking more of your wonderful post. Also, I’ve shared your site in my social networks! Thank you so much! It really means a lot! There’ll be an interesting one coming up on skiing in 1969! Thank you! Alongside gelato, granitas are the ultimate treat! Wow this area looks so peaceful. I have heard so many good things about Lake Como that I really want to visit. Your budget tips are really useful. Beautiful photos! 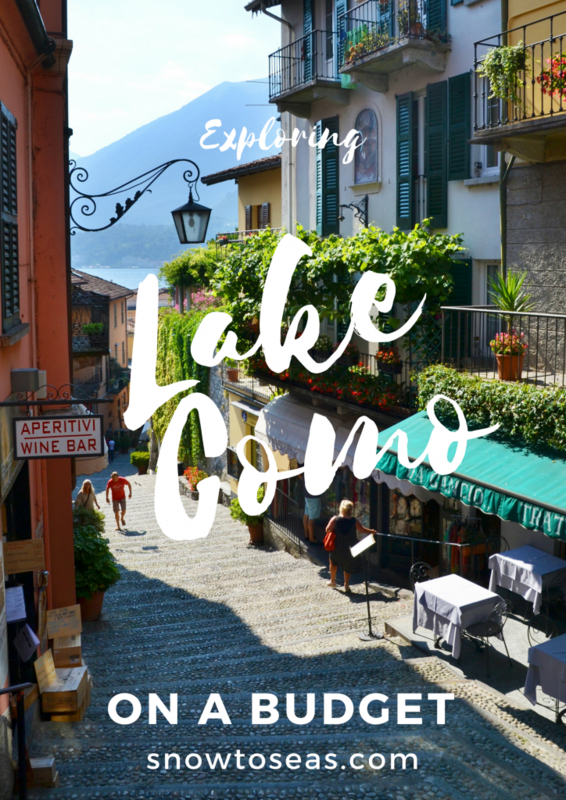 I was at Lake Como a couple of months ago and I really loved exploring it and the surrounding towns. Thankfully I was there on a press trip because agreed it can be fairly pricey – great tips for doing it on a budget! I adore your photos. This is a very handy guide. The lakeside towns are the stuff of Pinterest dreams aren’t they?! Gorgeous! Cool, so nice to see a place which you have seen before, but in a totally different season. I loved the flowers! When we went to Lake Como in February, I think I saw only one blooming tree. That cooler weather must have been great for hiking! In the past year or so, some friends have gone to weddings at Lake Como (insane, right? ), and their pictures have been beautiful. I’ve been pretty envious. I definitely would not mind that view from the hostel. It’s good to know that there are budget options here for the future! A wedding in Lake Como must have been one luxurious and amazing affair! Wow! Such an organized and well-thought out post accompanied by great photos! I’ve always wanted to go to Lake Como and your guide is totally making me want to go now! Thank you so much! Your feedback really means a lot! Your photos are absolutely stunning! As if I didn’t want to go to Lake Como badly enough already…. Thanks for sharing these awesome tips! Thank you! And sorry for making your wanderlust go through the roof! I hope you get to visit soon! I’m happy I had the chance to introduce you to such a wonderful place! I stopped in Lugano on my way to Lucerne from Menaggio. It was beautiful too! The Lake Como can be VERY expensive, and as an Italian I appreciate all the effort you put in finding cheaper options! I’ll be sure to use some for my next trip! I agree. When looking for accommodation, some of the hotel costs I came across were just out of this world. Love the pics. I’ve been to Lake Como, but it has been awhile. You make me wanna go back. Thank you! I definitely want to go back too! Lake Como look absolutely beautiful! Would love to visit sometime. I visited Lake Como once, many years ago now, and I remember it rained the entire time but it was still so beautiful! I also remember having the best hot chocolate I’ve ever had in my life in Como.. it was literally melted chocolate in a mug… mmmmm!! Ah! Do you remember the name of the cafe? It sounds delicious. I’ve only been to Lake Garda, so I’m hoping we can visit Como on our next Italy trip. So these tips are exactly what I need! So helpful! I cannot believe the views from Rifugio Menaggio. Just wow! I know! I am determined to do the hike myself! Every time that I see photos of Lake Como, it makes me want to visit even more. I am actually traveling to Italy in September but unfortunately won’t be going that far north but I love how detailed and practical this post is for people who are traveling on a budget. Will keep in mind for next time. I definitely see what you mean – George indeed made the right decision 😉 The hikes look right up my alley and I love that you can do a lot without it costing a fortune! Wow. Very detailed! Love your infogrtaphics! I will surely be saving this for later for when i go there. Thank you so much! Your comment means a lot – the infographic took a bit longer to make than expected. I was in this area back in March, I love it so! We stayed in lecco, but came over to Bellagio to ferry over to the other side to take a cooking class. The ferry is a great way to get around and you are so close to Milan to catch trains to other major cities! I definitely agree! I would love to see Lecco. Love the infographic at the end. I always thought that Lake Como is expensive. Now I know that it could be done on a budget. Would love to hike and see the views from above! Hiking for those views will definitely be the first thing I do if I get the chance to go back. I was sold the moment I saw the tip on hiking. I have been wanting to visit Lake Como for again and even more so now that I know I can combine some hiking too. Really great post BTW. Thank you! And I agree. One country got really lucky. Wow, these are great tips! I think I might have to go and pay a visit – can you believe I only live 2 hours from here and haven’t been yet?! Beautiful town! I bet you had a very relaxing time there. Thanks for these useful tips! I would love to go to Lake Garda one day – it looks absolutely beautiful too! And Bellagio is definitely picturesque. It was build on a rather steep incline so it looks quite different from the other towns. Being on a boat on Lake Como is definitely a wonderful experience, and I wish I could have done the hike myself! The view looks absolutely mesmerizing! The view of the Lake Como Hostel in Menaggio is indeed great! Also good to hear they offer nice meals for a good price. Lake Como looks great to visit! It definitely is and the Lake Como Hostel was definitely a great find! I have heard so much about Lake Como and would love to visit some day. Your photos are gorgeous, thank you for sharing! Thank you for your comment! I hope you get the chance to visit! This is a great article. How long were you in the Lake Como Region? I went there for a high school trip and all I can remember is the amazing blue water against the surround green mountain sides. But I can’t remember why we never swam… Does anyone go swimming in the lake? I was just there for 2 days, but I wish I had stayed a bit longer! I did swim in the lake, and so quite a few people doing the same too – especially at the designated bathing areas. Your pictures are gorgeous! I’ve always wanted to visit Lake Como, there’s something about it that seems so glamorous. Will definitely have to keep this post in mind in the future! I lived in Florence for 3 months last year but never made it to Lake Como! Your post reminds me how much I missed out on, guess I have to go back to Italai! It’s been on my wishlist! Lake Como looks beautiful! i need to plan a trip to the area soon. Saving and pinning this post! I really interesting read! My husband and I are planning to visit Milan during the first week of November. I want to visit Lake Como for three nights first and then explore Milan City Centre. I am considering to stay at the hostel you have recommended providing it has a private room/bathroom. But I am trying to work out what’s the easiest (and cheapest way) to get there from the Milan Malenpasa Aiport. Any idea? Hey! The dorm rooms in the hostel have shared bathrooms. However, their double/twin room(s) do have private bathrooms. In order to get to the town of Como from Malpensa, you can take the train. You can either go through Milan and switch trains there or others have mentioned switching trains in Saronno. I flew into Bergamo not Malpensa, so I hope the info here serves as a starting point.